A little bit of sad news for those who have been waiting for the release of the first trade paperback of the new BOOM! 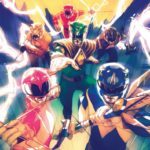 Studios Mighty Morphin Power Rangers series – it has been delayed for a week, now releasing in comic book stores on September 14th and book stores on September 20th. No reason for the delay has been given. The BOOM! Studios Mighty Morphin Power Rangers Volume 1 TPB collects issues #0 through #4 of the popular comic book series Mighty Morphin Power Rangers and is labeled as “Green Ranger Year One”. Included are images of each cover of the book as well as the Adventures of Bulk and Skull. The time has come for fans of Mighty Morphin Power Rangers – the official first issue (although Issue #0 was pretty much a FIRST issue … this is just another issue that happens to have the #1 attached to it) of the brand new comic by BOOM! Studios is here! Featuring what can only be called a near-record-setting line up of variant covers (27 total covers, we counted), the first issue hits stands after the enormous success of Issue #0 which launched back in January. We got ourselves a copy and have done a full review – spoilers and all! Check out our review of Mighty Morphin Power Rangers Issue #1 by clicking “Read More” at the end of the story. We’ve also included some images – but we’ve blanked out the word bubbles so you won’t have to worry too much about scene-by-scene spoilers. Check out our review of Mighty Morphin Power Rangers Issue #1 after the jump! 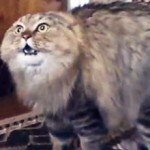 The boys of the Talkin Toku Podcast are back at it with the release of their 9th episode, Attack of the No No Cat (blame Tom for that one). Join your hosts Kickback (Chris, @rankal), Den-O (Jordan, @DenO_Tokunation), and Sentai Tamashii (Tom, @SoulInkChu) as they touch on a number of topics from last week in the world of tokusatsu! Some of the hot topics discussed – their reactions on the international trailer for the new Godzilla movie, their thoughts on the Mighty Morphin Power Rangers comic from Free Comic Book Day and just why Saban Brands did nothing to promote it (as well as some behind-the-scenes knowledge in the world of comics from our very own Sentai Tamashii, who works a freelance colorist and has done jobs for Marvel, DC, IDW Publishing, and Archie Comics), some good old fashioned toy talk with Kachidoki Arms and S.H. Figuarts Kyoryu Gold, and the usual show talk of Kamen Rider Gaim and Ressha Sentai ToQGer. But there’s even more stuff that’s discussed throughout the episode, including the No No Cat, spooky haunted microphones and/or alien contact, follow up on our last toy debate on Tamashii Nations and Super Sentai Figuarts, and so much more. Take a listen below! Kickback also discusses the Fruit Henshin Contest and some details of the upcoming crossover episode with our good friends from the Ranger Command Power Hour Podcast scheduled for later this month. All the show details are below – do us a favor and click “Discuss” and share your thoughts! Till next time! If you’ve missed any of the episodes prior, we’ve collected them all right here on TokuNation.com! Click here for an episode listing! – Click here to “Like” Talkin Toku on Facebook! – Click here to follow us @TalkinToku on Twitter! To all my fellow Colorado fans of Power Rangers! A slew of Power Rangers alumni will be showing up in the Rocky Mountain region at the beginning of October for this year’s Rocky Mountain Collector Con! The show runs from Friday, October 4th through Sunday, October 6th in Pueblo, Colorado! Among the guests this year is Jason Faunt (Power Rangers Time Force Red Ranger), Erin Cahill (Power Rangers Time Force Pink Ranger), Nakia Burise (Power Rangers Zeo Yellow Ranger, Power Rangers Turbo Yellow Ranger), and Jason Narvy (Skull from Mighty Morphin Power Rangers to Power Rangers Lost Galaxy, with a special cameo in Power Rangers Super Samurai). For all the details, tickets, and more – simply click here to go to their homepage. Don’t forget that tomorrow, March 16h the Lexington Comic-Con 2013 begins! Festivities actually begin tonight with an awesome costume contest and late night mixer but the show will be open to VIP’s at 9AM tomorrow and to the general public at 10AM. This is only the second year of the convention but attendance is projected at over 6000! This year it’s double the length at 2 days and double the space at Lexington’s own Rupp Arena Convention Center. If anyone would like to meet-up at the show just give us a shoutout in this thread. Yours truly will be there for part of tomorrow morning during VIP hours at or near the Comic Interlude booth. Stop on by anytime Sunday to see me as well. Attention all Power Rangers fans living within driving distance of Lexington, Kentucky! 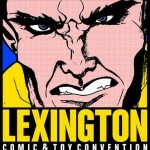 The 2013 Lexington Comic and Toy Convention will be held at the Lexington Convention Center on March 16th & 17th. For those of you who grew up and still love Power Rangers, there’s a plethora of guests from the series that will be there to sign autographs, answer questions, and just have a morphin’ good time! 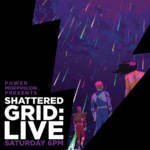 For those of you who couldn’t make it to this year’s Power Morphicon this could be the next best thing! What are you waiting for? Check out all the details, and register, today! Be sure to follow TokuNation.com as we plan to be in attendance! 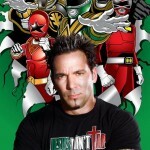 It’s morphin’ time!